Spring Cleaning is here - Remove that mold before it affects your health! Spring cleaning is here and it’s time to start cleaning your home inside and out. In this article, I want to talk about mold and why you should remove it before it gets out of hand. Believe it or not the northern side of most homes are more prone to having mold. Why is that though? It’s because North side receives less sun and is wetter and colder than the South side of your property. So what does that mean for you? Well, have a look around your house and see if you notice mold. Mold can be dangerous if not taken care of for not only your property but for your family’s health too. There are two types of mold we face a lot in Hawaii and that’s green mold and black mold. Because mold loves to grow in dark, wet and especially humid locations (like Oahu in the summer!) it can continuously grow. The molds generate tiny spores to reproduce. These spores can be found everywhere and can get into your homes and all over the outside of your home. Unfortunately, when these spores make their way into more damp and wet areas, they continue to reproduce, they’re like weeds but worse. They eventually damage the materials on your home or garage and will eventually destroy them overtime. A lot of people will have allergic reactions to mold spores too. This is why it’s always important to regularly remove mold from around your house. 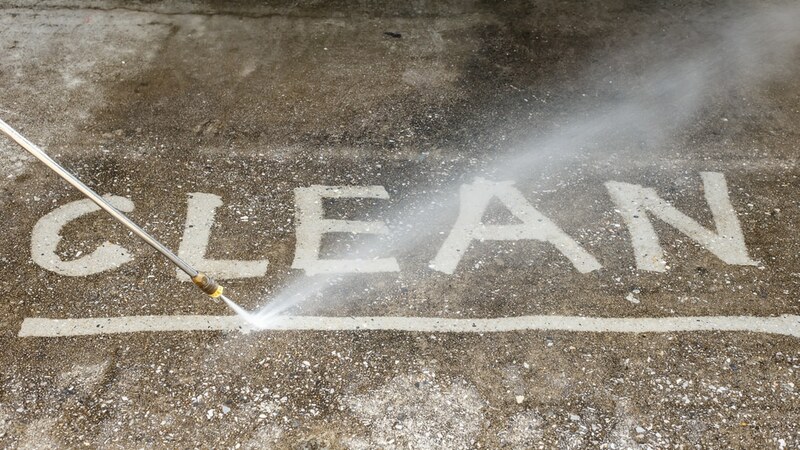 One of the best tools you can use to remove mold is a high power pressure washer. Now if you have a small amount of mold around the house, you don’t need to call a professional right away. There are things you can do to remove it like a bucket of hot water and some basic cleaning supplies and some good old fashion elbow grease. Bleach and vinegar are options to use (be careful with the bleach and be sure not to use too much!). Now if you have a larger mold problem and you’re responsible for a school, commercial building or you own a larger house where the problem will take too long for the technique I described above, then you need to call a professional. If you’re in Hawaii, particularly in Oahu, we can help. If you’re in another state or on a different island, we suggest researching similar companies that offer pressure washing or power washing services. Good luck and don’t let your mold get out of control, it can become very dangerous for not only your property but also your health!